We all love watching TV and movies – many of us are addicted to watching online videos as well. But what if I told you that there are ways you could make easy money for this fetish of yours? But it’s true! – you can in fact simply get paid by watching videos – the more you do, the more you will earn. Still sounds too good to be true? While for most part, this is considered as one of the best part time job online to earn little bit of extra cash; there are opportunities online which pay a lot better – which you could consider doing for longer hours, or even full time. To ease their doubt, below is a curated list of-“21 App-based Sites To Get Paid To Watch Videos” by money and/or gift cards. So go ahead and take your pick & get ready to earn some handy $$$, lying horizontal on your favorite couch. Netflix is one of the best ways of getting paid to watch movies and other videos online. To keep its programming cutting-edge, this popular video streaming service hires people referred to as taggers. Their only job – as the title suggests – is simply to watch Netflix shows, specials and movies and make money online by tagging them suitably with accurate metadata. These tags make it easier for Netflix viewers to search for specific content based on their favourite categories or stuff they may have seen and liked before. Mind you, positions in this category are extremely rare and posted on the Netflix job board as and when they are available. But if you like to binge watch Netflix content and know what looks great together – it might be just be the right job for you. One of the easiest way to earn money by watching videos is with Nielsen. This well-known media company has its eye on what Americans are watching on their computers and mobile devices. Nielsen Digital Voice gives US families the chance to tell the world about their viewing habits – by downloading the Nielsen app. So not only do they get to watch their favourite shows to their heart’s content – but they also get paid for it with monthly cash prizes. Interestingly, there is no formal application process involved here and most families get selected at random. So keep your fingers crossed and your hand on the mailbox – coz you just might be receiving your invitation in the mail. Another video application to get paid to watch videos online is with National Consumer Panel/Cross media. These organisations are also known to occasionally hire people to watch videos and television – to track the average media usage via their mobile app. The data is then used by companies to adjust their marketing strategy wherever necessary. The payout doesn’t usually exceed a couple of hundred bucks per year, but the work is exciting and lets you make some good money in your bank account at the end of the day. Available on both Google Play and the App Store, this app awards you points for watching a variety of movies, promos, videos and music videos – which can then be redeemed for either cash or gift cards. This is one of the excellent ways to get paid to watch movies, Ads and many another type of videos. It’s a unique way of knowing about the latest releases – even before they release – and you can do it from anywhere using your Android/IOS device. Another better option to watch videos and earn money online easily is with Perk TV. At the onset, there are different apps on offer here. Users get to earn – Perk Points – by watching videos, TV clips, taking quizzes and a lot more. You can also make a small bonus by watching promotional ads or specific videos. Once you have a tidy collection of Perk points to your credit, you can get them exchanged for cash or a gift voucher. If you are a TV addict, you can also make money by watching movies and Ads on TV via Viggle. It’s one of the more popular apps in the Perk TV bouquet, where you get rewarded for watching TV. The way it works is you need to – check in – when you’re glued to a particular show beaming on regular TV. For doing so, you are rewarded with a fixed set of points, which you can redeem to cash out or get your hands on other rewards. Slidejoy makes it really easy to watch videos for money. 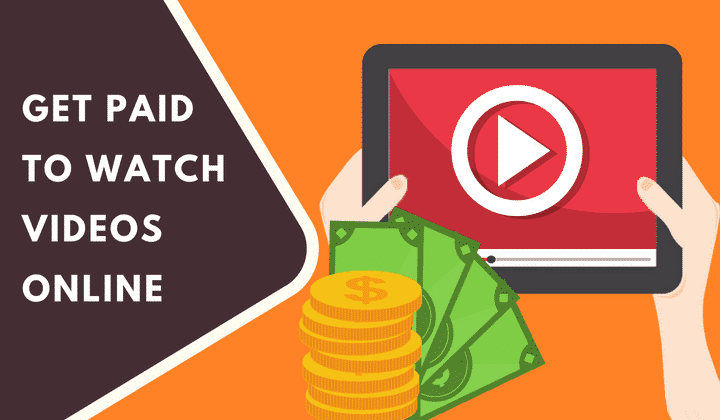 You can definitely get paid to watch movie trailers and Ads online. It’s basically a free mobile app which will pay you – $$$ – every time you open your smartphone. What happens is you get to see an interactive ad each time you do so. The company pays the app for putting it there, and they, in turn, share a small portion of the revenue with you. You can also score extra points for referring this app to your friends or linking your FB account. FusionCash allows you to get paid to watch videos in the form of movies, Ads, trailers and many more. For starters, you get a straight $5 – just for signing up. You also get paid for clicking ads, listening to music and referring your pals. You need a minimum of $25 to your credit before you can cash out, but with a plethora of offers for new joiners that should be a cakewalk. Available on both the App Store and Google Play store, the MyPoints app is used to watch videos to earn gift cards and cash back from retail brands. However, you can also earn by watching fun videos (500 points per day) and playing online games (gain 10 points per dollar). There is also a chance to win a cool $10 bonus on reaching your first $20. Payouts are in the form of gift cards and PayPal cash. This is one of the most popular money making apps out there due to its sheer versatility. Not only do you get a chance to win cash watching online videos, but you can also make money by taking surveys. Also, you earn money by playing games and even shopping online. Every task that you complete earns you points which in turn can be redeemed for cash prizes, earn PayPal money or a gift card of your choice. If you’re in the mood to make a $5 sign-up bonus and earn some easy cash by watching videos, then this is an excellent choice. Mind you; you can also earn rewards by completing some other simple tasks like – taking surveys, reading emails and trying out free-trail offers among others. Reading emails and watching videos online is a recommended way of making the most money from this rewards site. Try it and see how it works for you. You need to be at least 13-years old to be eligible to join this site for free, and preferably from the US. But they also accept people from other English-speaking countries as well. Referrals are the best way to make money by watching videos; here you get 20% of what your referrals’ make on this site. Watching videos regularly can also net you a cool $20-50 extra per month. Payments are made automatically usually at the start of every month and mid-month. It’s best known for its referral programs, where members get to keep about 10% of the cash made by their friends – for life. Wait there is more, you also get to pocket another $5 if your friends make $5 – in their very month itself and there is that extra $10-bonus if you sign up for any 5 of their partner sites. This free to use app works on a points and cash payout system. But while you can exchange cash for points, vice-versa is not permitted. Moreover, points can only be redeemed for a $50 Amazon gift card (currently available for US members) or products available on the Amazon website. 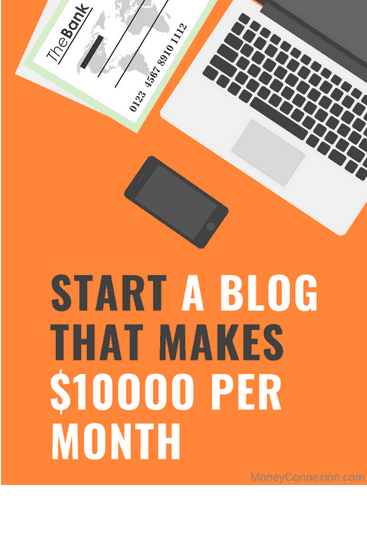 While it may not pay as well as some of the other sites on this list, you can still earn by watching videos online, a decent $20-30 per month. You will also be credited a bonus 250 points (worth $2.50) on signing up. At the onset, this is a survey site where you make money or earn points by trailers, Ads, videos (which can be redeemed for gift cards from Bloomindales, Amazon and Macy’s) and completing surveys. But you can also earn PayPal cash by watching videos and movie trailers and then sharing your opinion about them. Also massive positive is that they have more than 4mn members across 40 countries spanning North America, Europe and Asia-Pacific and claims to have awarded $30mn-plus in rewards in 2016. How would you like to be rewarded with pirate coins (of the virtual variety) which you can swap for rewards? Yup, this app allows you to watch videos and earn money, for exploring and trying out free apps or completing surveys. Once you have enough coins to your credit, you can redeem them for a slew of gift cards from Amazon, iTunes and Steam or PayPal cash – plain and simple. What’s more, you also stand to earn more coins while you’re sleeping – by referring your buddies. You get to keep 10% of their earnings and another 5% of the friends referred by your friends – now isn’t that a super offer? Do you enjoy watching videos, completing surveys, shopping online, or merely browsing the Net? If so, you stand a chance to win points by downloading this app and doing just that. In return, the site pays you with e-gift cards (choose from 350+ gift cards) and e-checks (presently available via email to members from the US, Australia, Canada and the UK) and PayPal reward redemptions (for Canada, UK & US). You also stand to receive a bonus of 10 points for each valid and confirmed referral signup from the U, UK, Australia or Canada. This site is a free loyalty program open only to permanent residents of the US, UK and Canada. In keeping with its name, the site claims to process PayPal payments for as little as a penny within 72 hours or gift cards starting at $5 within a week. This site offers its worldwide members the chance to win unique virtual currency or Hulk Coins, by simply answering surveys; you even get paid to play games, watching videos and browsing the Net. Members can also earn a bonus of 5000 Hulk Coins for bringing in new members. Also, an additional 5% from their earnings when he/she wins Hulk Coins by completing offer walls, offers, surveys and GiftHulk TV. Coins can be redeemed for gift cards from top retailers like Walmart, Amazon, Macy’s, Lowe and Steam or PayPal cash. With one of the most extensive rewards programs, this free mobile app rewards you with points for completing simple tasks. It is a great opportunity to get paid to watch videos, taking surveys to even referring your friends. Upon registering you have the option of entering an invite code – if you do – you will be credited with 500 points instantly. Want to earn more points? Check out their download apps section – it tends to pay a lot more. You can use these points to redeem lots of awesome rewards in the form of gift cards and cash back. This includes a selection of 100s of gift cards or you can opt for a cash output via PayPal. This is a relatively new online platform where you make money by watching videos. Once you have seen a video you will earn $0.005. There is no limit on the number of videos that you can view. Similarly, you will also be paid $0.10 (for every comment), $0.01 (for each rating) and $0.15 for every subscription that you make. Each time one of your referral watches a video you will make $0.01, every rating gets you $0.05; an equivalent amount is credited to you every time one of them leaves a comment. Once your account shows a credit $10, you can make a request for payment via PayPal. This process normally takes around 30 business days. For people who spend a large part of their day online, registering with these apps to watch visual content can be a great idea – to make some extra cash. The best part, however, is that there is no limit to the number of apps that you can register on – which translates into a lucrative earning opportunity even for those with a regular job. Helpful advice! RadioEarn is a new website that will pay you cash to listen to internet radio stations in the background while you browse the web. Just pin the open tabs in your browser and listen to up to four stations at a time on a single IP address (Dance / Remixes, Mixed music / Top 100 / News, Easy Listening, and Rock / Pop). It’s completely passive. You’ll earn as much as $10 per month and you can cashout via PayPal. There’s also 3 referral levels. I am an NRI living in Uganda. I have registered to most of the ones mentioned at the end of your list especially inbox folks, cash crate, points shop. ..etc. but non of them work here.😦 any news suggestions?